FACT CHECK: Exit Poll Says 20 Percent of Trump Supporters are Pro-Slavery? 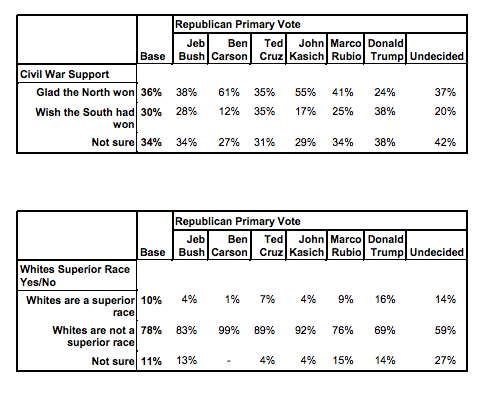 Exit Poll Says 20 Percent of Trump Supporters are Pro-Slavery? An article in the New York Times' 'The Upshot' maintained one in five Trump supporters opposed freeing slaves after the Civil War. Nearly 20 percent of Donald Trump’s voters disagreed with the freeing of slaves in Southern states after the Civil War. A 'New York Times' article reported exit poll data revealed one in five Trump supporters opposed the Emancipation Proclamation; February 2016 poll data indicated 38 percent "of Trump voters say they wish the South had won the Civil War" in specific Southern polling results; 2014 polling done before Trump's campaign took off demonstrated surprisingly similar responses. The "Emancipation Proclamation" poll findings differed meaningfully from similar results gathered before Trump's campaign began; respondents were asked specifically about slavery; the data was widely available before 25 February 2016; Trump alone had supporters who scored in the double digits on that metric. Nationally, the YouGov data show a similar trend: Nearly 20 percent of Mr. Trump’s voters disagreed with the freeing of slaves in Southern states after the Civil War. Only 5 percent of Mr. Rubio’s voters share this view. Mr. Trump’s popularity with white, working-class voters who are more likely than other Republicans to believe that whites are a supreme race and who long for the Confederacy may make him unpopular among leaders in his party. But it’s worth noting that he isn’t persuading voters to hold these beliefs. The beliefs were there — and have been for some time. Do you approve or disapprove of the executive order which freed all slaves in states that were in rebellion against the federal government? Public Policy Polling surveyed 897 likely Republican primary voters and 525 Democratic primary voters on February 14th and 15th. The margin of error is +/-3.3% for the Republicans and +/-4.3% for the Democrats. 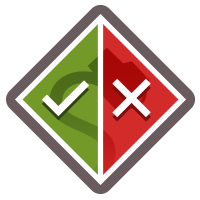 80% of participants, selected through a list based sample, responded via the phone, while 20% of respondents who did not have landlines conducted the survey over the internet through an opt-in internet panel. Many dislike executive orders as a matter of principle, though that doesn’t mean that the public opposes some of the most important orders in American history … The public was even more supportive – at least to the concept of a president occasionally using an executive order — after it was reminded of specific executive orders, including freeing the slaves in the parts of the country that was in rebellion (the Emancipation Proclamation) and the desegregation of the military. Republicans and Democrats agreed that these were appropriate executive orders. But the percentages supporting the use of executive orders in the two popular historical cases has dropped a bit from February. This distaste for solo executive orders in principle extends far beyond the issue of immigration: many in the latest Economist/YouGov Poll oppose them in principle. That’s particularly true for Republicans, many of whom are adamant about not permitting executive actions – even for mundane changes in administrative issues – without Congressional approval. The partisan divide seen in so many poll questions extends to principles that are now seen as partisan. 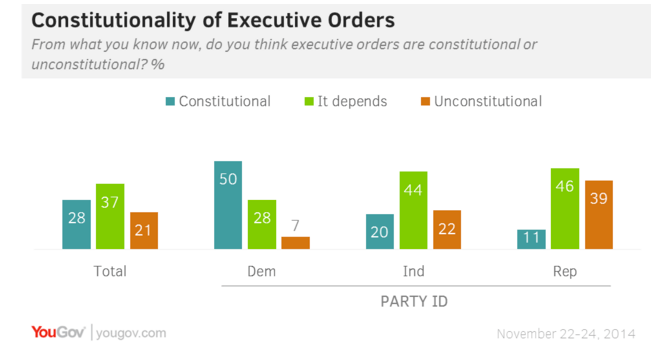 Nearly all of the examples of solo executive actions offered in the Economist/YouGov Poll were of executive orders issued by Republican President George W. Bush, though this was not specified. Republicans were consistently less likely than Democrats to support these actions, with the exception of ordering reserves to active duty. In that case a plurality of both Republicans and Democrats say a President should be able to do that. I analyzed the raw data. Basically, I just got the idea that it would be interesting to see if there were differences — take the YouGov data and see are there differences across the candidates’ backers, and whether they agree or disagree with the Emancipation Proclamation. The money here is in the comparison. The number itself, the 20 percent of Trump supporters… you need to compare that to Rubio’s supporters, which is at 4 percent. So this is one more brush stroke on this canvas that says Trump supporters look different than Rubio supporters. So that’s it — it’s the comparison. YouGov’s release of the full tables was the first reference we were able to find showing the breakdown per candidate. By combining those who “disapproved strongly” and “disapproved somewhat” of the Emancipation Proclamation, we reached a figure of 20 percent for supporters of Donald Trump, higher than any other candidate. Both Cruz and Huckabee’s supporters polled at 15 percent, and Bush’s at 12 percent. Although Trump beat the others in the sum of those responses, it was not by a shocking amount, contrasted with the majority of Republican frontrunners at the time the poll was conducted. Vavreck contrasted Trump’s 20 percent with Rubio’s five, but Kasich was notably more of an outlier with a very modest three percent rating. 15% of American Hispanics agree with those racist Trump supporters … A quarter of Hispanics are not sure. 32% of American blacks back President Franklin Roosevelt’s decision to round up Japanese-Americans and put them in camps during World War II … almost exactly the same percentage as among Trump voters. More than 30% of those UNDER 30 are not sure that President Harry Truman’s 1948 executive order desegregating the U.S. military was a good idea. 15% are sure it wasn’t. 43% of likely Democratic primary voters, a very liberal slice of America, approve of President George W. Bush’s pro-torture executive order after 9/11. So, are America’s Hispanics nearly as racist as Trump supporters? Do a third of African-Americans have it in for their Asian countrymen? Are kids raised in the 1980s and later more resistant to desegregation than Americans born when Jim Crow was a thing? Do liberals love waterboarding? … If you dig deep into the confusing Economist/YouGov online poll, you find that only 71% of American blacks approve of the Emancipation Proclamation. Five percent definitely disapprove of Lincoln’s action and 24% just aren’t sure. Although 20 percent of likely Trump voters indicated they disapproved of the executive order that freed slaves, 71 percent of white respondents in total said they approved of it (leaving 29 percent presumably in the “disapproval” category). Bizarrely, that number was static for black voters of all parties, and reached only 60 percent for Hispanic voters. Put another way, a different approach to these numbers would suggest more black voters than Trump supporters disapproved of the Emancipation Proclamation (somehow, that didn’t make it into the news cycle). 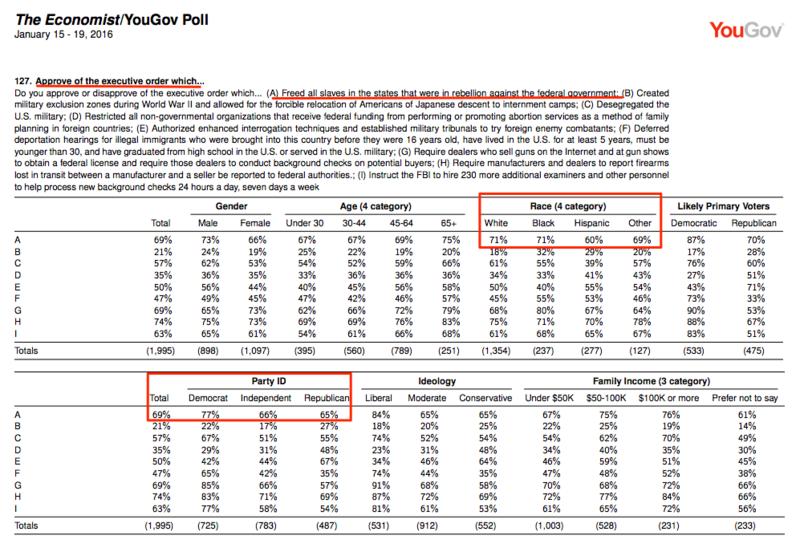 On 26 February 2016, a representative from YouGov clarified that the breakdown was calculated by Vavrick, and provided numbers for Democratic frontrunners Sanders and Clinton about the “slavery” question. Of Sanders supporters, 81.5 approved and 9.8 percent disapproved, and 85.3 percent of Clinton’s supporters approved, while 6.2 percent disapproved. It remained true Trump carried the largest share of disapprovers of the “Emancipation Proclamation” question, but that effect of that statistical “brush stroke” appeared less broad on the larger canvas of a diverse American electorate motivated by a number of factors.